SSL certificates enable you to secure the connection between your website and your website visitor’s browser. As a result of this, the important information transmitted through credit card / debit card is secured. SSL certificate is an important attribute for a website that deals with critical customer data. In today’s world, customer trust is directly related to sales conversions; therefore having an SSL certificate is a crucial aspect specifically for the online business owners and also for many other business websites. MilesWeb provides with SSL certificates that work well with all the prominent browsers and devices and they protect unlimited number of servers. The right options are provided at the right choice! An SSL certificate provides security to your website by safeguarding and encrypting the communications between the server and the person visiting your website. For using an SSL certificate, you have to install it on the server. What is an SSL certificate used for? SSL certificates also help in terms of safeguarding your passwords from being intercepted as they are typed into a secured login page. You need an SSL certificate if you are accepting credit card payments online through a merchant account. Even the authorities like credit card associations and networks make it a necessity for you to have an SSL certificate. This is because there is a transmission of critical information like card number, card holder’s name, card expiration date, CVV code etc. Getting an SSL certificate involved is an important aspect of making your website PCI compliant (A set of rules that have to be followed for accepting credit card payments). Moreover, an informed customer knows about website security and before making any purchase from your website, he / she confirms if your shopping cart is secure. You might lose out on potential customers if you have not secured your website with an SSL certificate. 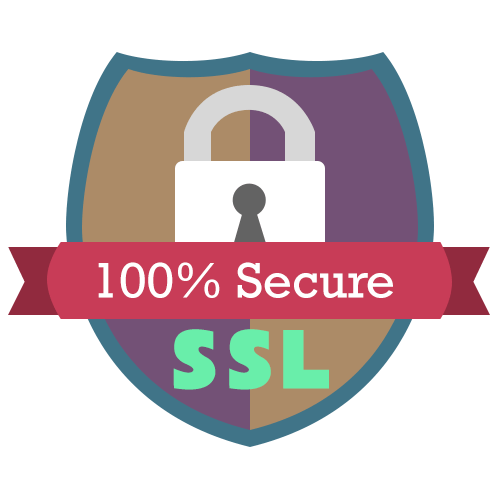 What types of SSL certificates are provided by MilesWeb? Rapid SSL and Quick SSL are dedicated SSL certificates that can be used by any form of business. The Quick SSL (premium) certificate is an affordable SSL certificate issued within a short span of time with an extended warranty and a dynamic True Site Seal. The TrueBusinessID is specifically beneficial for eCommerce websites as it displays a green color icon on the left hand side of the browser or a green address bar which denotes that the website is secured. It provides with a trusted protection and assurance to your customers that your site is trustworthy and secure. What is the importance of a green address bar? The green address bar gives an indication to the user that your business is legitimate. The green bar is only available with the ‘TrueBusinessID’ SSL certificate. Moreover, the major web browsers have incorporated anti-phishing protection so that the known phishing websites will display a red address bar. As a result of this, a positive impact is created for the businesses that opt for a ‘TrueBusinessID’ SSL certificate. How do visitors know if I am using an SSL certificate? Or about what kind of SSL certificate is used? In order to find out what kind of SSL certificate is used, the user simply has to click on the expeditedssl icon on the left hand side of the browser and he / she will get the information about the SSL certificate or the security of the website. Are SSL certificates compatible with all the web browsers? SSL certificates are compatible with 99% of the browsers including all the prominent web browsers. What is CSR? Do you provide it with the SSL certificate? CSR stands for ‘Certificate Signing Request’. CSR is the special key that is generated by the web server by using the unique private key of that server. The CSR is sent to the certificate issuer that generates the final SSL certificate. Once you sign up for any of the SSL certificates, MilesWeb will take care of the CSR process. How long will it take for my SSL certificate to get active? Will you provide assistance in installing the SSL certificate? Sure we will. When you sign up for any of the SSL certificates provided by us, we will install it on your website for free. Can I use one SSL certificate for securing multiple websites? SSL certificates are host base. Therefore, one SSL certificate will work only for one website. Do you have a minimum contract period? The minimum contract period for the SSL certificate is one year. Once the SSL is installed it cannot be cancelled. 30 day money back guarantee is not applicable on SSL certificates. Secure Your Site in Minutes With SSL at Just $11/Yr.